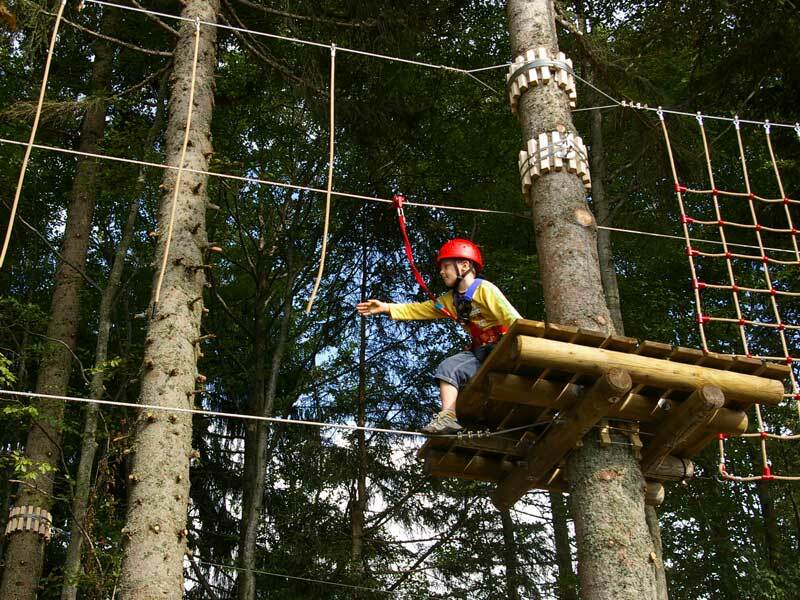 In late spring 2009 high above Oberstdorf, we constructed the highest lying forest Adventure Park in Germany. 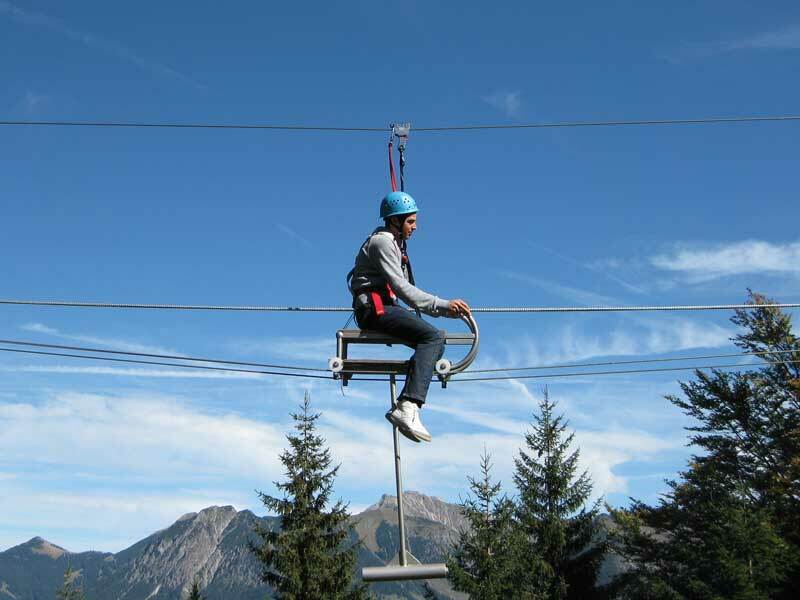 Right beside the end terminal of the gondola ‘Söllereckbahn’ are seven parcours named after various Allgäuer mountain peaks. 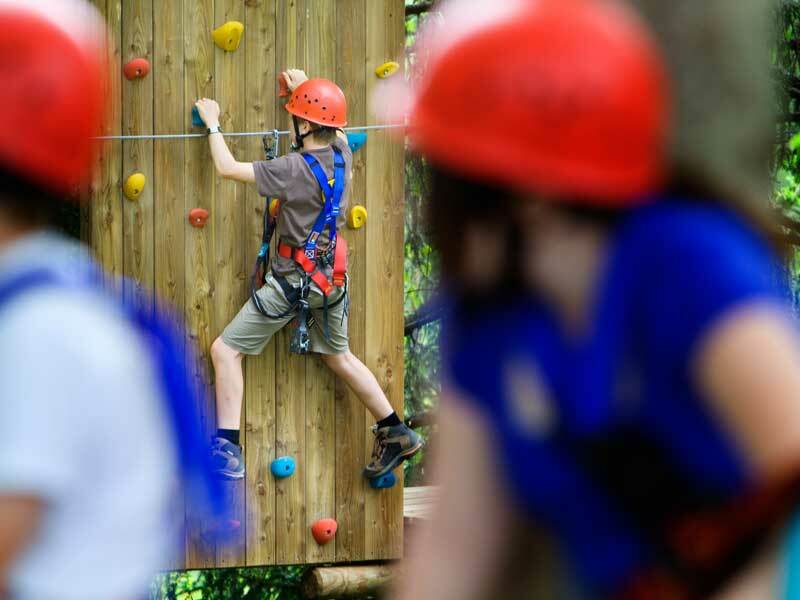 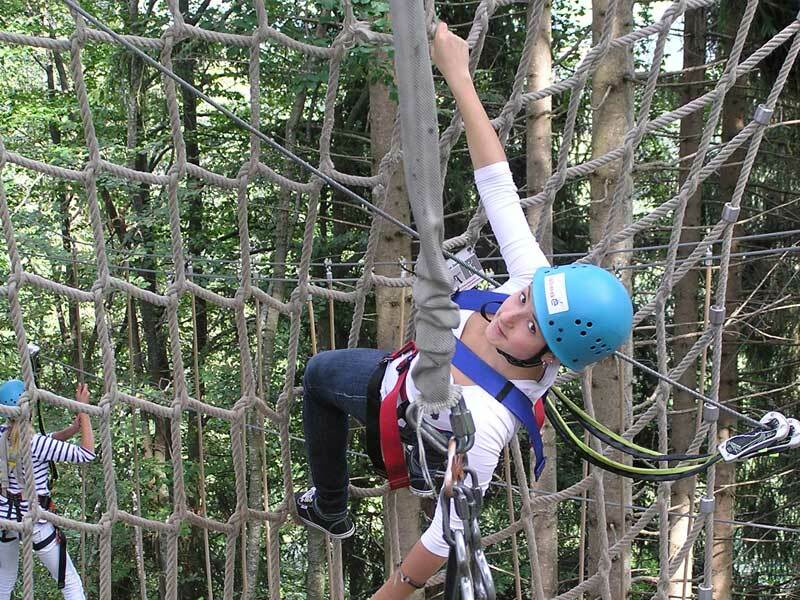 Each has a different level of difficulty thus offering the suitable ropes course adventure for everyone. 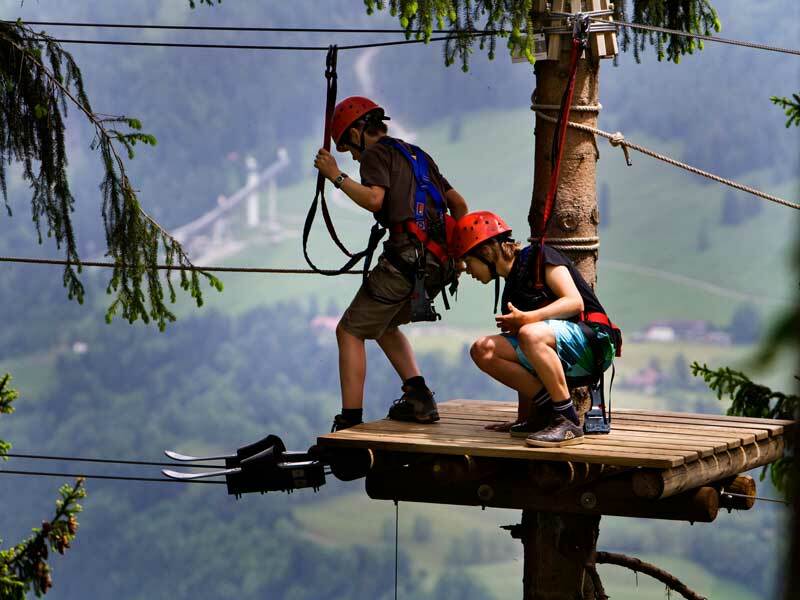 Beginning with ‘Söllerkopf’, the first parcour offers a gentle beginning, but thereafter the adrenalin rises right up to the black parcour. 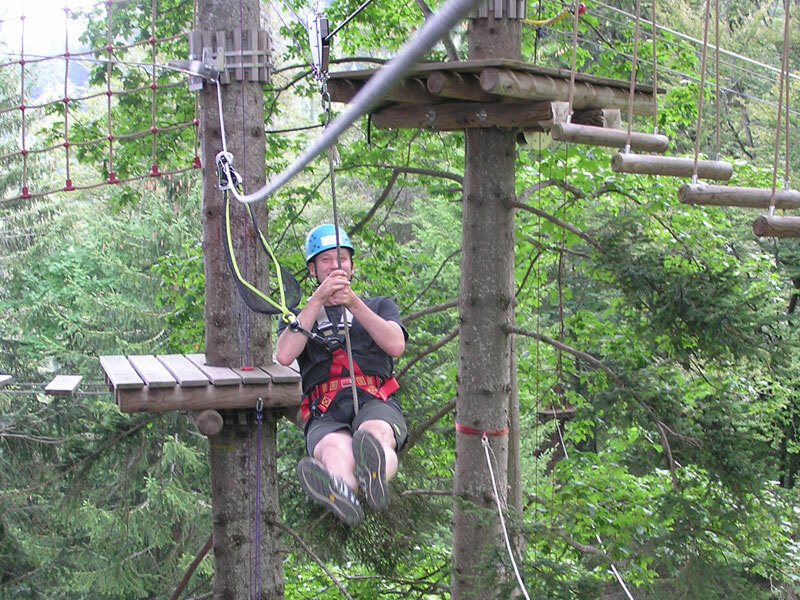 ‘Höfats’ requires the participant’s full attention. 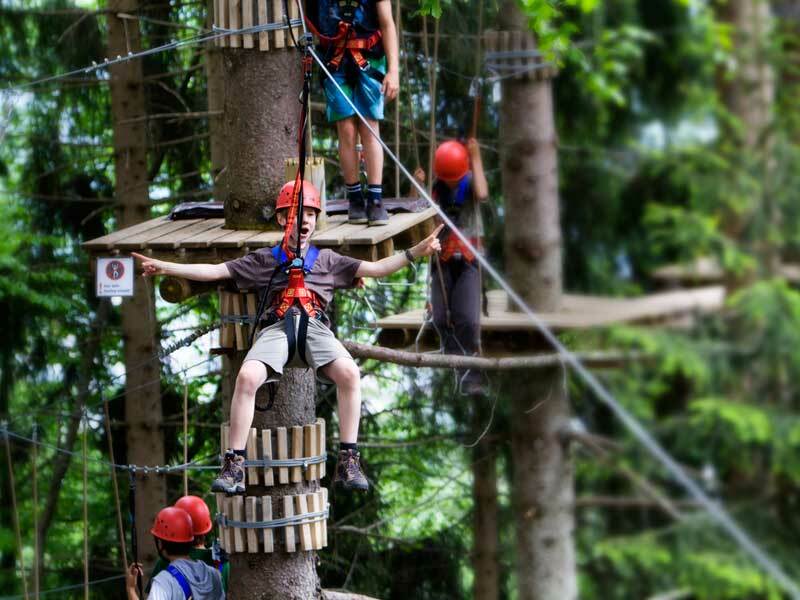 For those who want something more than just the sporty challenges can pause for a moment to enjoy the spectacular of the beautiful Allgäuer Alps. 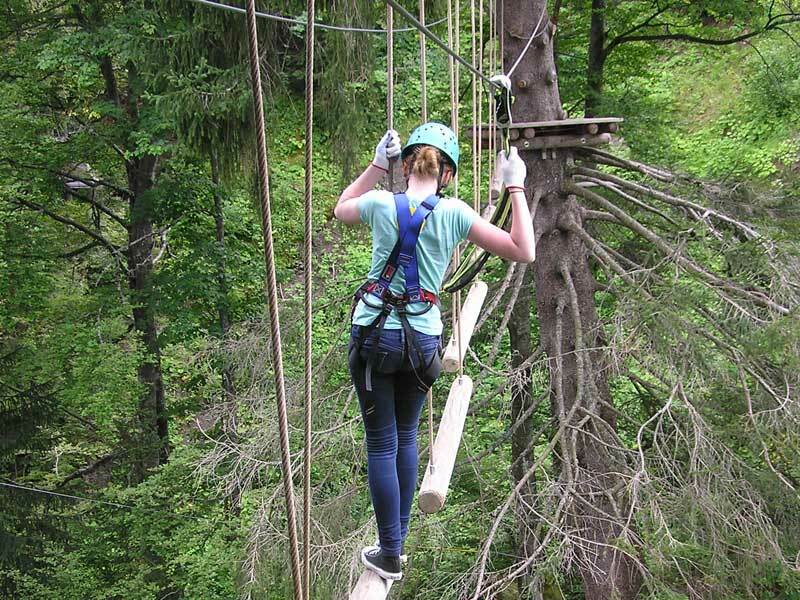 In Söllereck, two different safety-systems provide the participant with security: Children from 8yrs can climb using the EVO adventure continuous safety-system (Bornack), while adults can use the communicating-carabiners system, Smart Belay (Edelrid).